US Airstrikes In Syria Against ISIS Good News For Assad Regime? 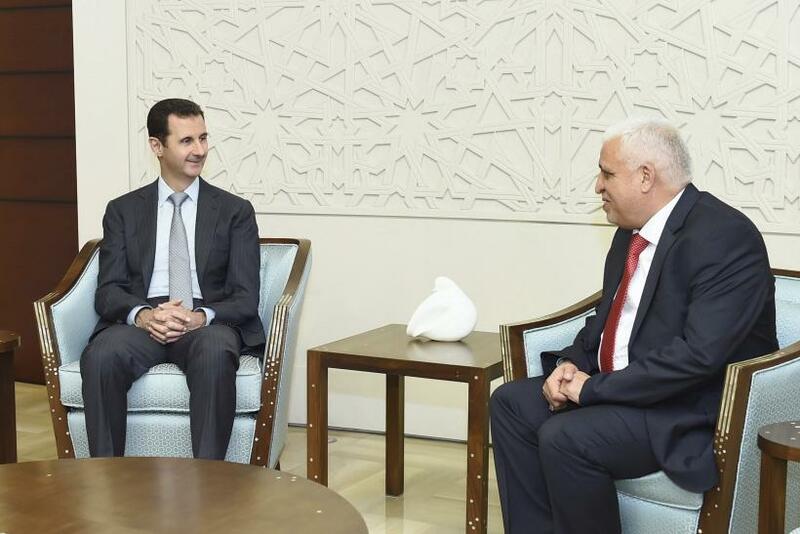 Syria's President Bashar Assad (L) meets Faleh al-Fayyad, the Iraqi National Security Adviser and envoy of Iraqi Prime Minister Haider al-Abadi, in Damascus Sept. 23, 2014, in this picture released by Syria's national news agency SANA. Photo: Reuters. As the U.S. and its allies in the region began their air campaign to fight the Islamic State group in Syria Monday, one question remained unanswered: What about Syrian President Bashar Assad? President Barack Obama has called Assad's regime one "that will never regain the legitimacy it has lost.” With the U.S. focused on taking out one of Assad's most powerful enemies within Syria, however, the airstrikes will likely allow Assad to make territorial gains and strengthen his hold amid a three-year civil war that has left 191,000 people dead and at least 10.8 million people in need of humanitarian assistance. “All indications are that the Assad regime is going to double down on armed opposition groups in Syria, particularly in Western Syria, that threaten the core heartland of support for the Assad regime,” said Nicholas A. Heras, a Middle East researcher at the Center for New American Security. Assad will focus on rebellious regions, including the Homs governorate, the Hama governorate, the Latakia governorate and parts of Damascus and the Aleppo province, Heras said. U.S. airstrikes will be largely concentrated miles away in Raqqa, the so-called capital of the Islamic State, also known as ISIS and ISIL. Obama said earlier this month that a military campaign in Syria would not be exploited to bolster the Assad regime, even if the two share a common enemy in ISIS. A State Department spokeswoman insisted Tuesday that the Obama administration did not coordinate with the Syrian government before it launched the air campaign. The Syrian government said early Tuesday that it had received notice before the strikes began. While the U.S. has refused to directly help the Syrian regime, some experts argued that it would happen regardless. “It’s just as likely the strikes will weaken ISIS, allowing the Syrian regime to focus on its goal of crushing other rebel groups, meaning that American fighter planes would effectively be acting as Assad’s air force,” Slate writer Joshua Keating wrote. Despite several threats to intervene because of the Assad regime’s violence against its own people, the U.S. has long resisted direct involvement in Syria's brutal civil war. That changed Monday when the U.S. launched the air campaign to “degrade and destroy” ISIS. At least 70 ISIS fighters and eight civilians were killed. Assad turned a blind eye to ISIS months ago after the militants began attacking other rebel groups that were targeting his regime. Seeing a small window of unspoken cooperation, Assad and ISIS began a kind of passive relationship that involved taking out shared enemies. But that de facto truce changed after ISIS declared a caliphate earlier this summer, indicating its desire to establish a government across Syria, Iraq and other parts of the region, with its headquarters in Raqqa. Bashar Assad, 49, took power in 2000 after his father, Hafez Assad, died of a heart attack after 29 years in office. Bashar Assad served as a colonel in the Syrian Army before becoming president. His regime has been defined by a series of bloody attacks against the Syrian people, resulting in sanctions against Syria and Assad's family from Europe and the U.S. He was re-elected with 88.7 percent of the vote in 2014. 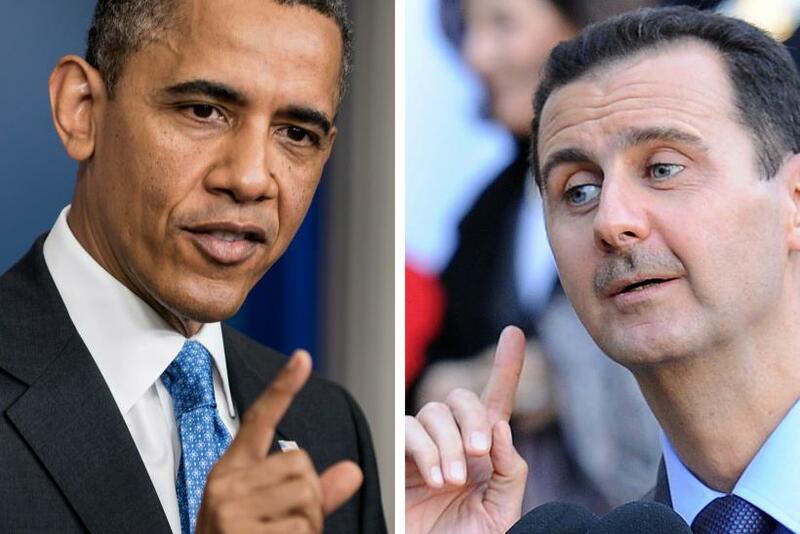 Some activists in Syria said the U.S. is making a mistake by leaving Assad in power.